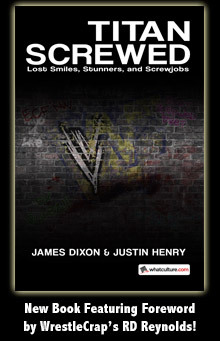 Headlies: Mojo Rawley Celebrates The Fourth of July - WrestleCrap - The Very Worst of Pro Wrestling! 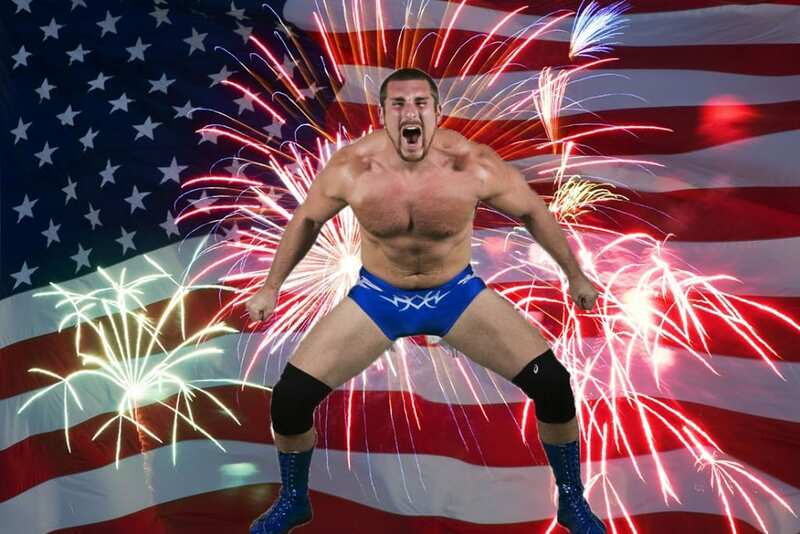 Alexandria, VA – Current NXT Superstar Mojo Rawley celebrated the 4th of July in his typical “hyped” fashion. Rawley awoke at dawn and immediately said both the Pledge of Allegiance and the Star-Spangled Banner while staring unblinkingly at himself in the mirror. Satisfied, Rawley had his usual breakfast of orange juice, Jolt Cola, 5-Hour Energy, raw coffee beans, 2 cinnamon buns, a bowl of Cookie Crisp, and a pound of bacon. He then ran in place several miles while screaming the entire score of “Cats”, drawing several bangs on the wall from his next door neighbor. “Sorry, Jerry! I just get so hyped over Andrew Lloyd Webber!” yelled Rawley before belting out the last few notes of “Memory”. The former Arizona Cardinals defensive lineman spent a good portion of the day shopping for his 4th of July celebration. After picking up food at Sam’s Club and party supplies at Dollar Tree, Rawley drove across town in his red, white, and blue Hummer to pick up over $200 worth of fireworks. “America!” screamed Rawley as he shot several Black Cats through his sun roof. As the sun began to set, Rawley’s party was in full swing. Rawley grilled several pounds of various animals while his guests entertained themselves with games such as “Pin The Tail On The Rawley” and “Duck, Duck, Mojo”. “This is for Benjamin Franklin, baseball, and bald eagles!” yelled Rawley before eating five hot dogs in under a minute. The good times came to a halt as the Bulgarian Brute Rusev and the Ravishing Russian Lana arrived at the party uninvited. Rusev and Lana walked to their car as Rawley frowned. His frown turned to a large grin as the two returned carrying a large bowl of gazpacho and a bottle of something labeled “Monastic Kvass”. 3 Responses to "Headlies: Mojo Rawley Celebrates The Fourth of July"
The picture is the after effect from too much of the said Bacon Crisp Cola combination. I love Mojo. 🙂 This needs to be a vignette as soon as possible.